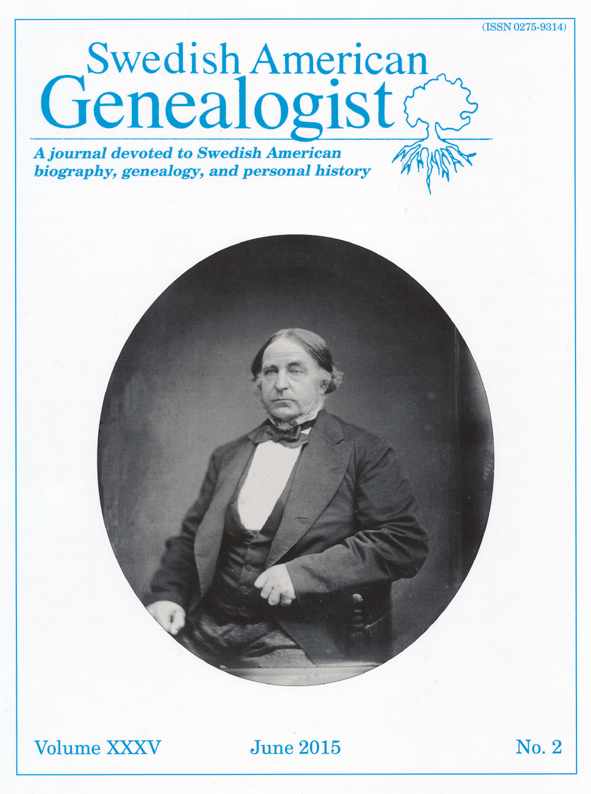 Swedish American Genealogist [SAG] is a quarterly journal, published by The Swenson Swedish Immigration Research Center of Rock Island, Illinois, founded in 1981 by the eminent immigration historian, Nils William Olsson, Ph.D., F.A.S.G., and edited by him until 1998. Nils William Olsson passed away in 2007. 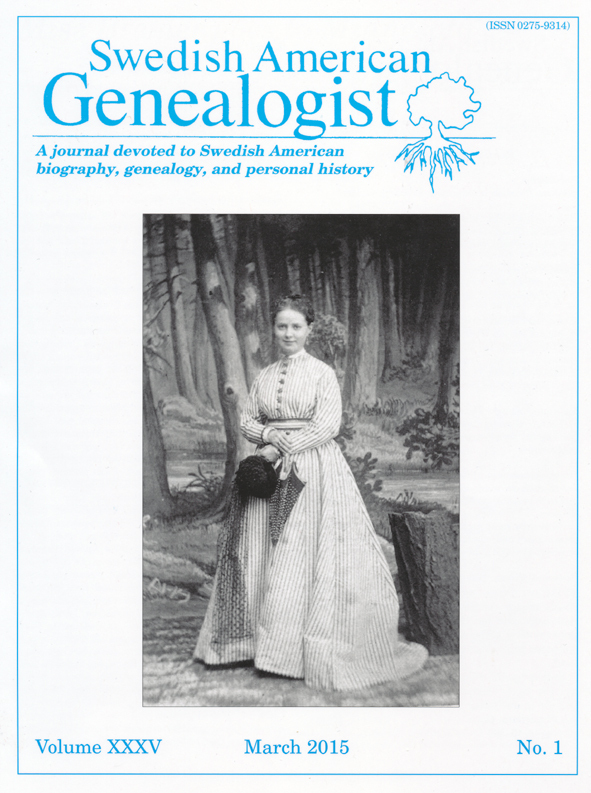 From January 1, 2004 the editor is Elisabeth Thorsell of Järfälla, Sweden, well-known as a recipient of the Victor Örnberg Memorial Prize in 2007, the highest award of Swedish genealogy, former editor of Svenska Släktkalendern (Swedish Family Register) and other genealogical publications. Author of a manual on Swedish genealogy (in Swedish), now in its third edition. She also has extensive experience in doing Swedish research for Americans. Send her ideas, articles, copies of old documents, etc. Contents of older issues can be found here. Every issue also contains a query section and often an ahnentafel, sent in by a reader. There are also book reviews and much more. 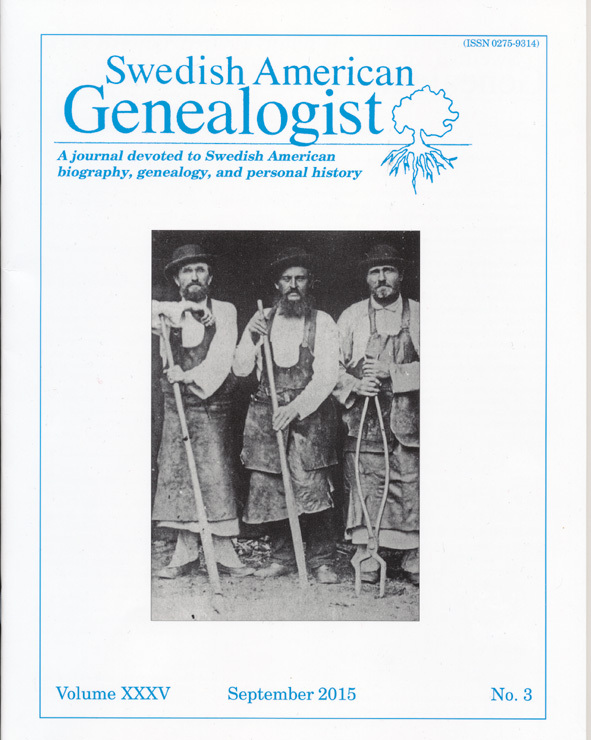 Do you want to write for Swedish American Genealogist? You can read our Guidelines for SAG Writers here. Older issues of SAG are available online from the beginning in 1981 to the year 2011. In Sweden most issues after 1990 are available by sending 40 SEK + 14 SEK (postage) = 54 SEK to Bankgiro 379-6943. Don't forget to note which issue you want and your name! 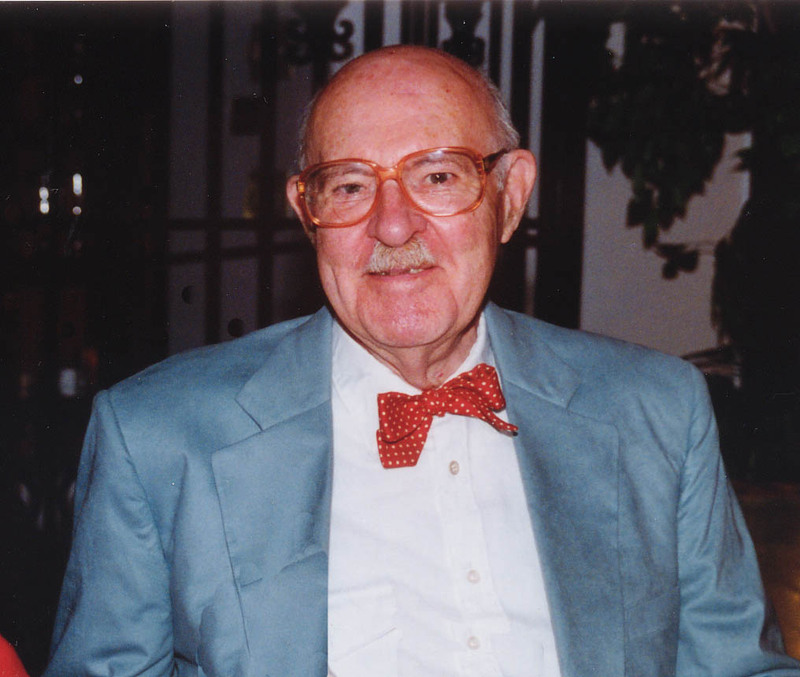 Some issues older than 1989 are available from the Swenson Center. Subscriptions in the U.S. are $ 30 per calendar year. If you wish to subscribe, check the Swenson Swedish Immigration Research Center web site. Subscriptions in Sweden are 295 SEK/year. 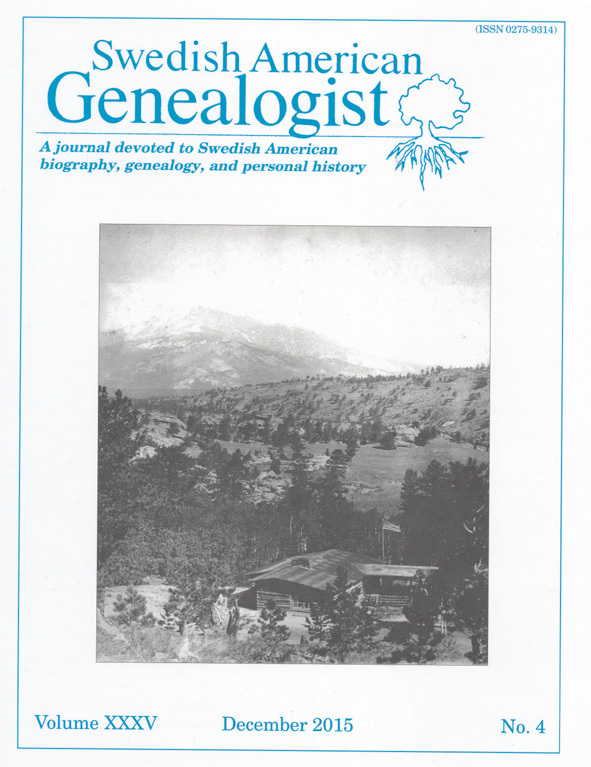 This amount can be deposited into the Swedish Bankgiro account 379-6943 "Swedish American Genealogist". An important part of the SAG idea is also the weeklong SAG Workshop, that takes place every year in Salt Lake City. Read more about this here. To see photos from previous workshops, then look at this page. Do you want more info? Send me an e-mail. Back to the start page!